Sept. 10th Robert Mandel filed the Supreme Court appeal in the Jones case (the concentrates case). The Yavapai prosecutors are required to file their response before the end of Oct. and the amicus briefs are facing a similar deadline. Prosecutors in Yavapai, Pinal, Pima, Apache and Navajo Counties have all charged patients with class four narcotics possession felonies in the past month. The most common thread among the arrests has been traffic stops where patients had visible vape pens. The Arizona Cannabis Bar Association has put out a call to action. Tom Dean and I are in the process of contacting the ADA to call for their legal defense fund. Among the patients charged, after yet another reversal (due to the Jones case) is Jake Ruether, the original defendant in the Navajo County case. 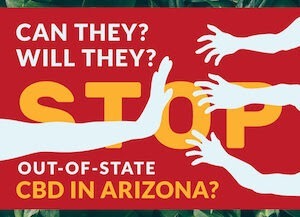 The Arizona Department of Health Services (DHS) has announced a new policy: prohibiting the sale of out of state CBD products in dispensaries. This was the main topic of discussion for the Sept 19th MITA meeting. Currently, AZ laws prevent in-state hemp growers from marketing their products for human consumption. The AZ Dept. of Agriculture has held two public hearings and expecting to push for a “technical correction” bill in January to clarify hemp products. 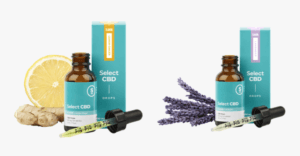 This week the DEA officially designated GW Pharmaceuticals concentrated CBD product, Epidiolex, Schedule V, but specified this protection is only for Epidiolex, not all CBD products. Lawsuits are expected to challenge the decision. AZ-NORML has posted their 2018 general election voters’ guide in time for voters to study the candidates for a whole month before the election. AZ-NORML’s recent primary guide not only earned kudos from their national office, but article about it were featured in the Phoenix New Times, Tucson Weekly and on AZMarijuana.Com. Further revisions to the state and national guides will be made following the Oct. 9th publication of the Cathi Herod’s CAP voters’ guide, which includes a cannabis question.